By Xah Lee. Date: 2016-08-19 . Last updated: 2016-08-28 . On an island, you can only have 1 mouse, which one? after years of research, if you can only use 2 input devices (not counting keyboard), best is, that keypad, plus 1 trackball. For utmost function and efficiency. you should use the trackball only for moving the cursor. Do not use any of the buttons. for trackball, there's no consensus on the best one. You'll have to pick. Why 2 input devices, why not just 1 best one and be done with it? First of all, for moving cursor, trackball is absolutely superior. The problem with trackball is lack of competition. There's only a few trackball with 5 buttons or a scroll wheel and basically none has builtin memory or programable buttons. Now mouse, there are thousands of them. 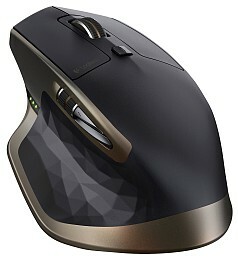 [see Mouse Reviews] Lots features. But for 2 reasons, they are not the best. ① for moving pointer, trackball is superior to mouse. Test Your Mousing Efficiency! A competitive way to judge the efficiency of input devices. But What About Just 1 Mouse? Logitech G600 is perfect, except the wheel can't spin. If you are on linux, spin wheel is necessary, because the system doesn't have scroll acceleration, a major pain. G700s is perfect, i've been using for 5 years. Imperfection is that the top left 3 buttons need force to press, they become wasted buttons. You are left with just 4 extra buttons that are usable. by the way, the 4 sculpted thumb buttons on the g700s is extremely nice, much nicer feel than the g600 buttons. Easier to press, less force required, easier to locate the right button by touch. If the g600 has spin wheel, that'd be my mouse on island. 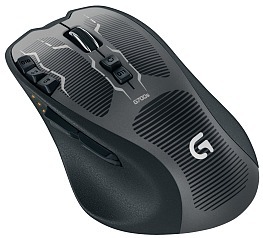 Or, If the g700s's top 3 buttons isn't wasted, that be my choice. The MX Master primarily for its spin wheel (auto detect if to spin), and the thumb wheel. there's some reported problem of its auto-detect spin wheel often breaks, and you are left with a alway-spin wheel but it rocks a bit when you leave hand from wheel. If this happens to you, it's not acceptable. Reliability of a mouse is ten times more important than extra features. 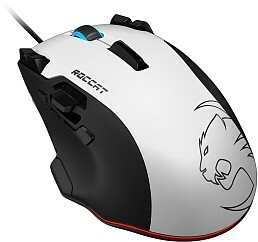 The roccat tyon for its thumb paddle, fin switch, and in general lots programable buttons and linux compatible. but i haven't used it. I would have picked trackball for its superior tracking, but when push comes to shove, it isn't my choice on a island. The superior moving cursor mechanism cannot offset its lack of buttons and scroll wheel and competitive quality in general. What About Touchpad, Pen Tablet, Joystick? touchpad? No, it can't compete at all. When it comes to pro use, such as say competitive gaming or photoshop intensely for say 3 hours, you don't want to rub your fingers on a slab all day. Touchpad lack buttons. Gestures isn't precise, nor efficient. The way touchpad works isn't precise. You got fat finger problem. you have sensor delay problem. Pen tablet? The problem is that you have to pickup the pen at all times. What about touch screen? No, because finger rub problem, plus gorilla arm problem, plus fat finger problem. What about joystick? No, because joystick doesn't have direct control of speed as mouse trackpad touchpad have.